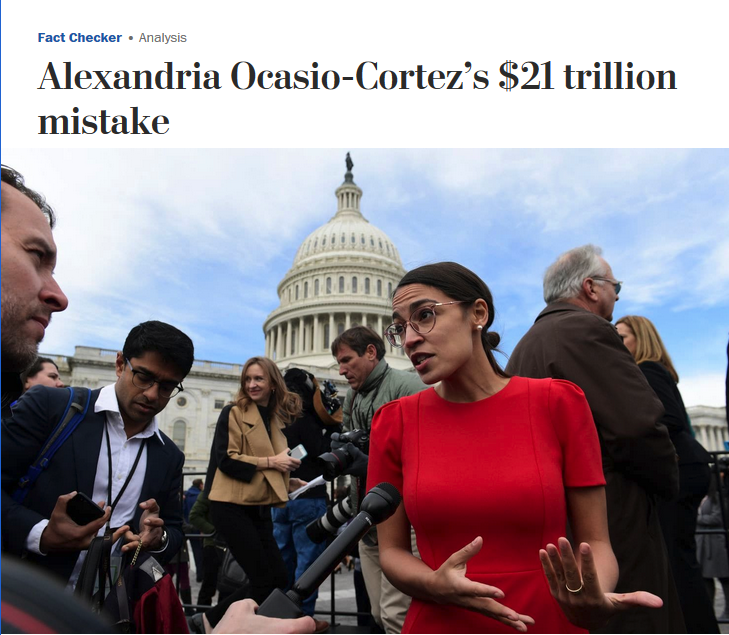 For the Washington Post (12/4/18), misconstruing Pentagon accounting errors is akin to making up millions of illegal voters, or denying the deaths of thousands of Puerto Rican hurricane victims, or asserting that “white genocide” is happening in South Africa. 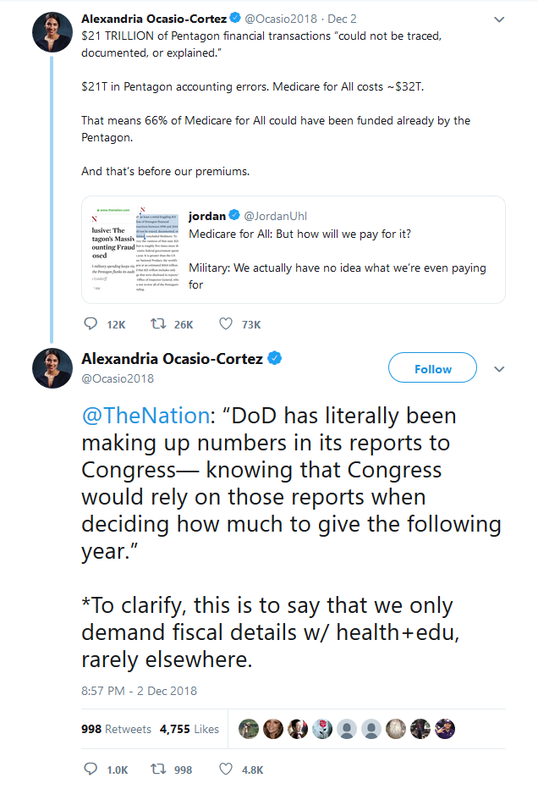 The Ocasio-Cortez tweet (12/2/18) in question. 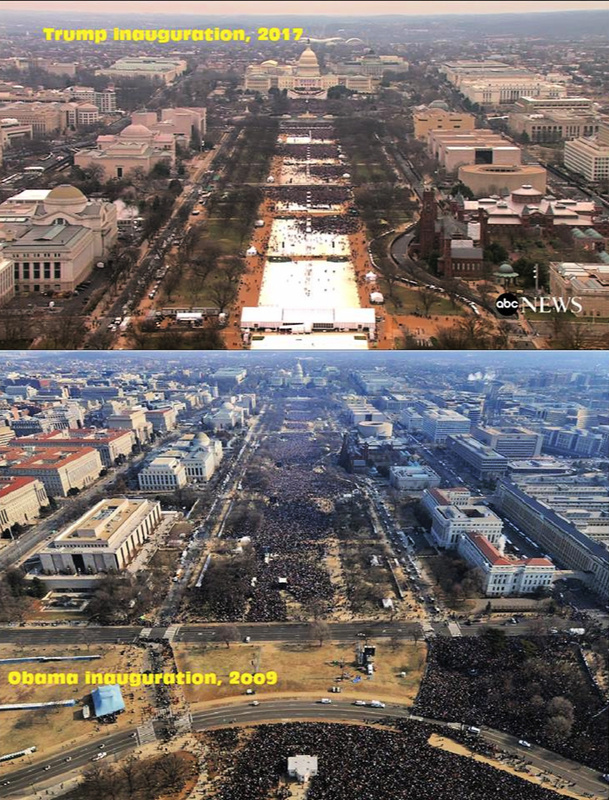 Trump’s insistence that the top crowd was bigger than the bottom crowd got the same rating as Ocasio-Cortez’s tweet. A Barack Obama ad that called Mitt Romney a “corporate raider” and accused him of being responsible for shipping jobs overseas—which the Post (6/21/12) called “misleading, unfair and untrue,” despite the fact that Romney has been called a “corporate raider” hundreds of times in mainstream news outlets, and despite a Post article (6/21/12) published the very same day headlined “Romney’s Bain Capital Invested in Companies That Moved Jobs Overseas” (FAIR.org, 6/22/12). An ad by Sen. Harry Reid’s Senate Majority PAC that said that “‘Stand Your Ground’ laws…caused the shooting death of Trayvon Martin.” The Post (10/29/14) insisted that questions about killer George “Zimmerman’s state of mind at the time of the shooting…may never be satisfactorily answered” (FAIR.org, 10/30/14). Bernie Sanders’ warning (Twitter, 1/12/17) that “as Republicans try to repeal the Affordable Care Act, they should be reminded every day that 36,000 people will die yearly as a result.” Yes, he was accurately citing a study in the Annals of Internal Medicine (5/6/14)—but the Post (1/14/17) noted that his tweet hadn’t contained all the caveats of the academic paper, he said “will die” rather than “could die,” and he assumed that the ACA would not be replaced with a brand-new Republican health insurance program (FAIR.org, 1/25/18).